Rich Komando - Bradley, Garrison & Komando P.A. "Our team has the experience to bring your case individualized attention and dedication to find the best results and solutions for you." 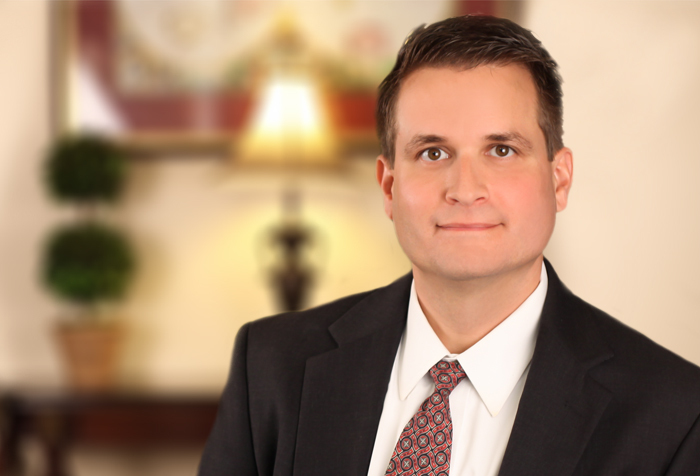 Rich Komando received his undergraduate degree from Florida State University in 1996 and received his law degree from the Loyola University New Orleans, School of Law in 1999. He spent the next five years building a private law practice while working on civil, criminal, appellate, juvenile and international cases. Leaving private practice, he accepted a position as the Circuit Director and later as the statewide General Counsel for the Guardian ad Litem Program for the Fourth Judicial Circuit. In 2007, Rich completed his Masters of Business Administration at Florida State University. Beginning in 2009, Rich spent the next four years working as a criminal prosecutor with the State Attorney’s Office serving as a Division Chief of the Special Prosecution Division and the Executive Director for the Fourth Judicial Circuit in Clay, Duval and Nassau counties. He prosecuted cases ranging from misdemeanors to crimes involving the death penalty while focusing on cases related to public corruption, white collar crime, organized fraud, embezzlement, arson and human trafficking. As the Executive Director, Rich supervised the Finance and Human Resources areas of the Business Office, the Public Records Division, the Forfeiture Division and the Information Technology Division for the office. As an experienced trial lawyer, Rich continues to work as a child advocate and advises and defends clients throughout Northeast Florida on a wide array of issues. Rich’s background and experience provide personal attention and broad insight for clients facing high profile, complex or sensitive matters. AV® Peer Review Rated by Martindale Hubbell.